The renowned Chef Katsu has created an outstanding à la carte menu at Anaya, featuring classic dishes from across Asia and the Orient. Explore the authentic tastes and aromas of China, Thailand and India outdoors on the terrace or enjoy the relaxed ambience indoors. 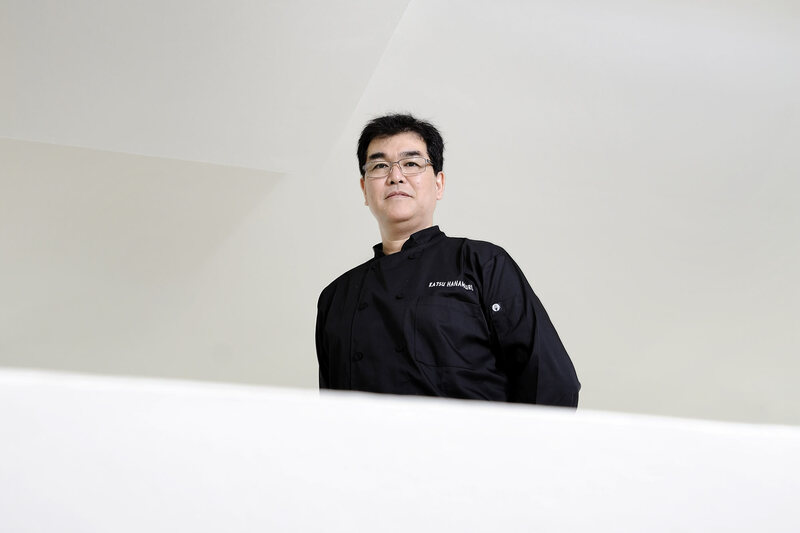 The Executive Consultant Chef of the Ikos ANAYA restaurant, Katsuhiko Hanamure (Katsu), was born in the Japanese city of Kaseda, where he became enamoured with cooking, but his career took off when he moved with his family to the United States. Brought up within the world of meals and dining, assisting initially in the kitchen of the family baker`s shop, he began his “western” cookery career as a teenager, at the former “Otani Hotel and Garden” in Los Angeles, under the guidance of Japanese Master Chef Saga; and following that, at “The Commodore Perry”, gaining knowledge of French cuisine, beside the chef Willie Miller. However, his exceptional talent was manifested mainly through his collaboration with the renowned chef Nobuyuki Matsuhisa of the “Nobu” and “Matsuhisa” restaurants. He detected in Katsu something special and decided to take him under his wing and instruct him. Thus, Katsu was employed at many “Matsuhisa” and “Nobu” restaurants and has been Executive Chef at “Matsuhisa Athens”, “Matsuhisa Mykonos”, as well as the “Nobu” at Badrutt’s Palace, St. Moritz. He is also well-known for his participation in top-level gastronomy events that are held for important bodies such as the Audrey Hepburn Foundation, the Cartier Foundation and the Red Cross, while he has also supervised private parties for Hollywood celebrities. Chef Katsu, inspired by the Greek sea, is determined to offer the best and most irresistible seafood creations to Ikos ANAYA guests.